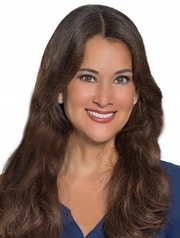 Karla Abaunza, founder and broker of Miami Beach, Fla.-based Luxury Living Realty Inc., is a power broker. Her expertise in the local real estate market, professionalism, dedication, ethics and integrity have earned Karla a sterling reputation among her clients, fellow agents and community. Karla has been in the real estate business for over 22 years. Her passion for the real estate profession, endless hours of hard work, and natural ability to negotiate--as well as her experience in marketing and sales—make her transactions successful, resulting in repeat buyers and sellers. She quickly established herself as a top producer and award-winner involved in numerous record-breaking sales. With her unparallel knowledge of the dynamic South Florida market, Karla has found clients profitable investments to fit their real estate needs. Her area of expertise is Fisher Island as well as other high-end residential properties and pre-construction projects in South Florida. Considered to be an expert on the local market, Karla has been featured in numerous publications, including Ocean Drive, SOFI Magazine and various websites. Karla is a member of the Master Broker’s Forum, the top 250 of South Florida’s elite brokers. She earned the prestigious GRI (Graduate, Realtor Institute) designation from the National Association of Realtors and is a member of the Realtor Association of Greater Miami and Beaches, Florida Association of Realtors, National Association of Realtors, and Who’s Who in Luxury Real Estate. Karla also gives back to the community by participating in the American Nicaraguan Foundation. Born in Managua, Nicaragua, Karla moved with her family to Miami after an earthquake in 1973. She is proud to have made South Florida her home for over 30 years and enjoys living and working in a dynamic metropolitan city that is growing every day. Karla has a degree in marketing from Florida International University. She has traveled worldwide and lived abroad in Switzerland, Italy and France. Her worldwide travels, and fluency in Spanish, English, French, Portuguese and Italian have enabled her to be influential in her profession while providing personalized service.